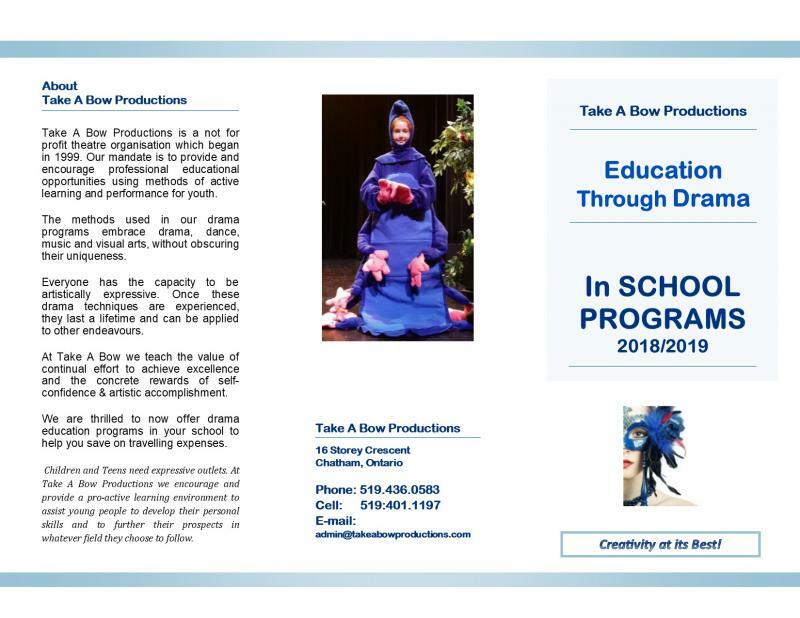 For the past 19 years Take A Bow Productions has been and continues to be a part of the cultural and education team at the Chatham Cultural Centre. Our drama programs provide sensory and creative enrichment which enables the students to explore alternative ways of communicating with others through active expression and participation. Spontaneity and risk-taking are encouraged in a stimulating environment creating critical thinking and expressions for a positive experience. 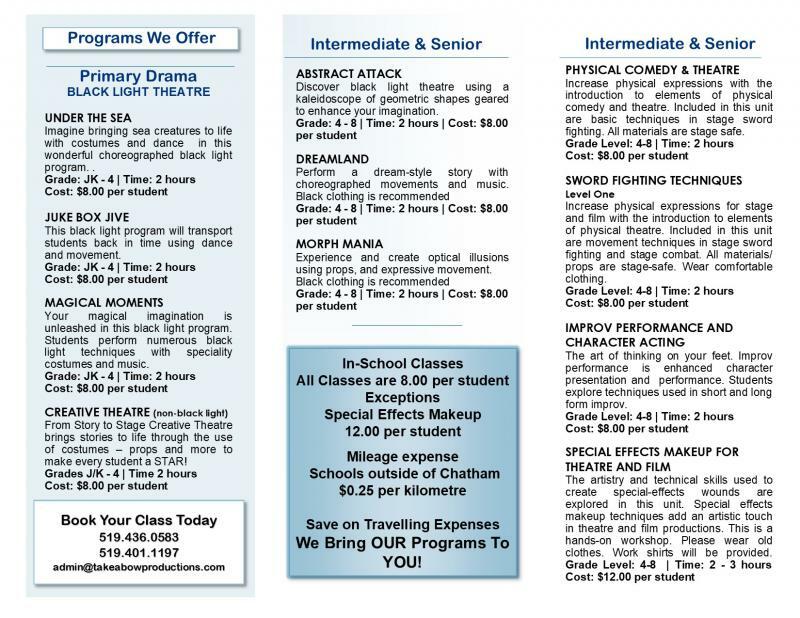 With less funding from other sources and the many economic changes, I am pleased to offer all schools in the Lambton-Kent District School Board Area and the schools in The St. Clair Catholic District School Board﻿ our new in-school drama workshops. With the rising costs of transportation and facility costs, we can offer you in-school workshops and give the teacher one-on-one access to the instructor. We offer a wide range of drama workshops. All workshops that we provide are geared to the age of the children. Our workshops are designed to fit the curriculum but can be custom designed to fit the needs of the teacher upon request. Children and Teens need expressive outlets.